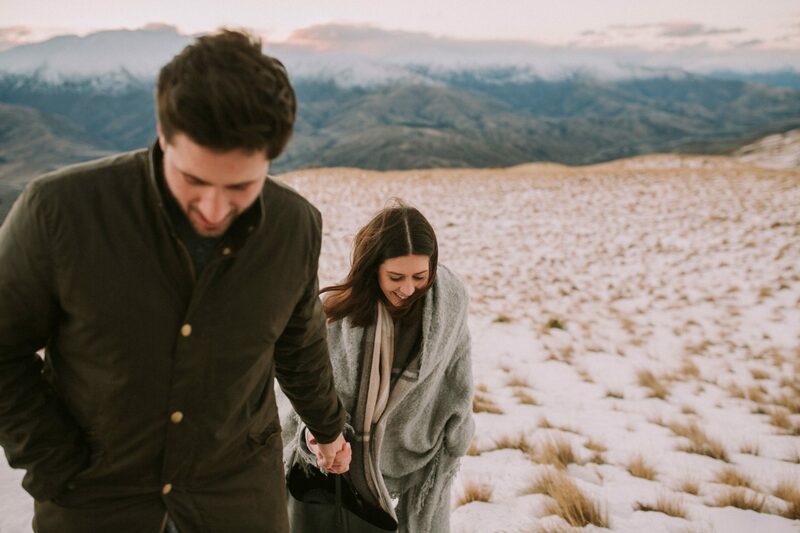 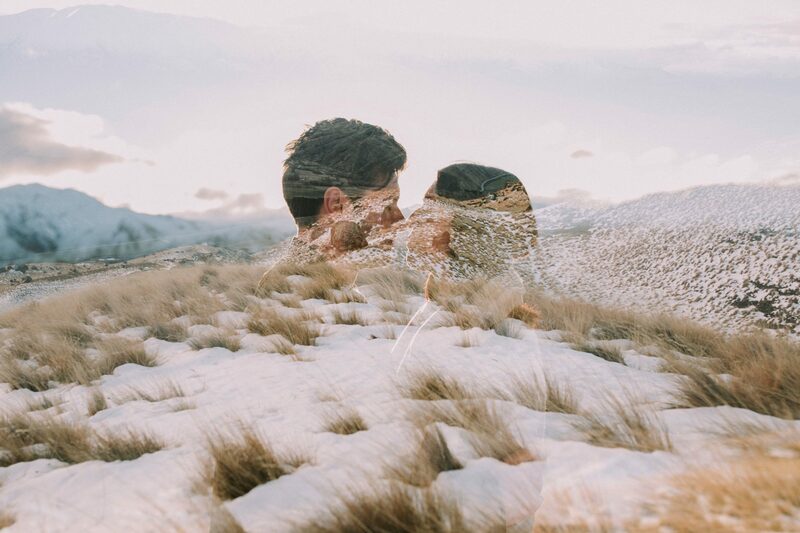 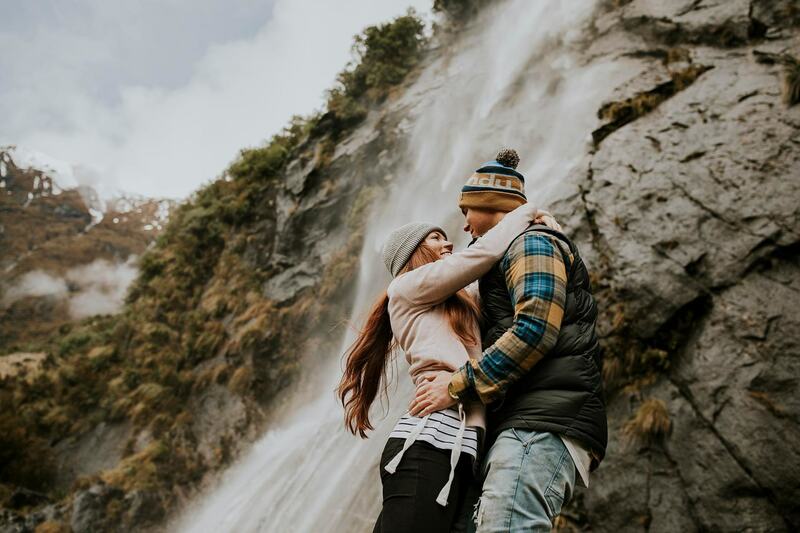 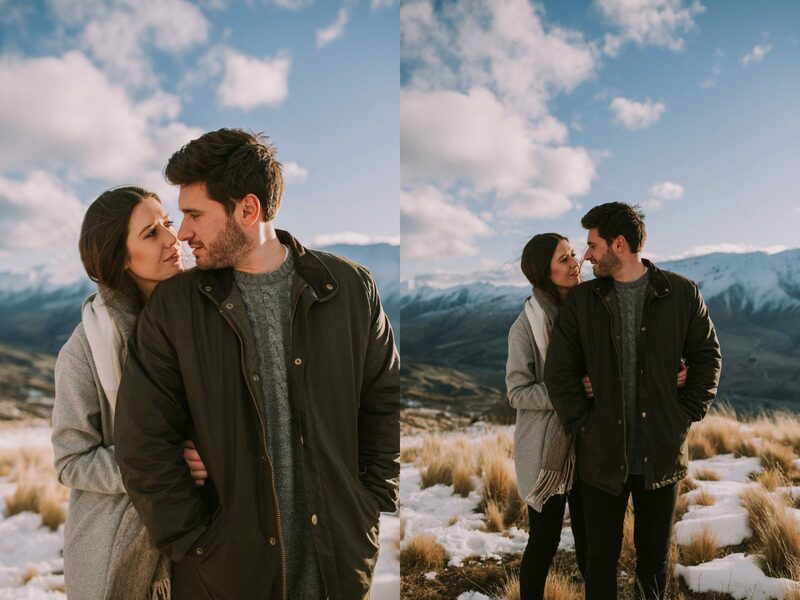 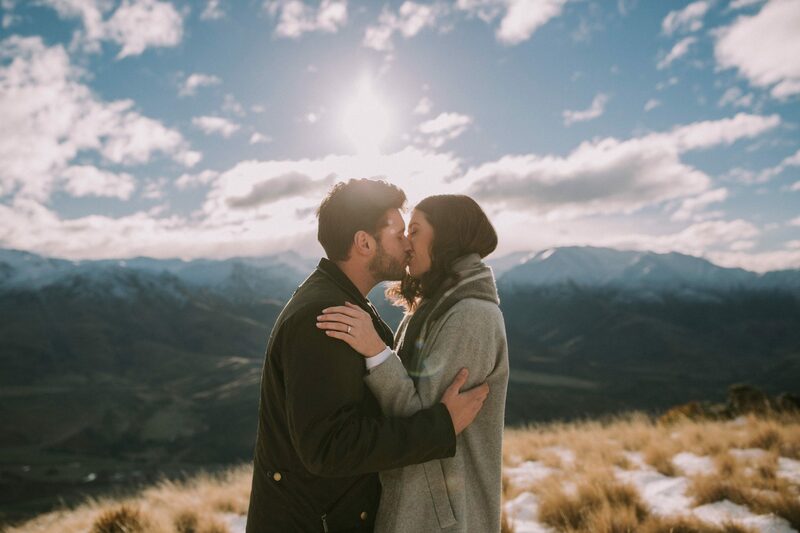 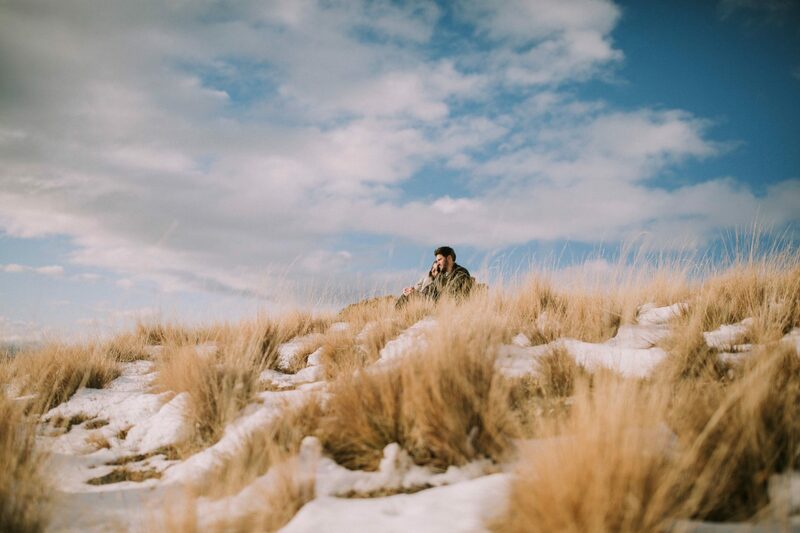 It took me two weeks to find a location for this Engagement shoot and I’m so glad the time I put in paid off– nestled into the mountains of Wanaka NZ the most beautiful rolling hills, snow, tussock and views. 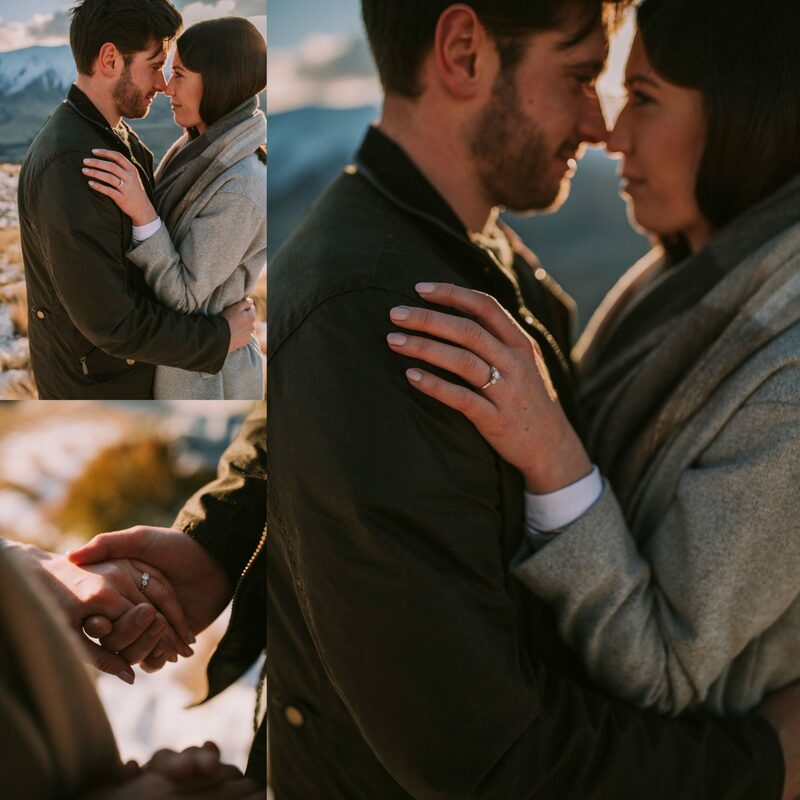 Jimmy and Liv met at their favourite restaurant Botswana Butchery in Queenstown, where their mutual friends introduced them. 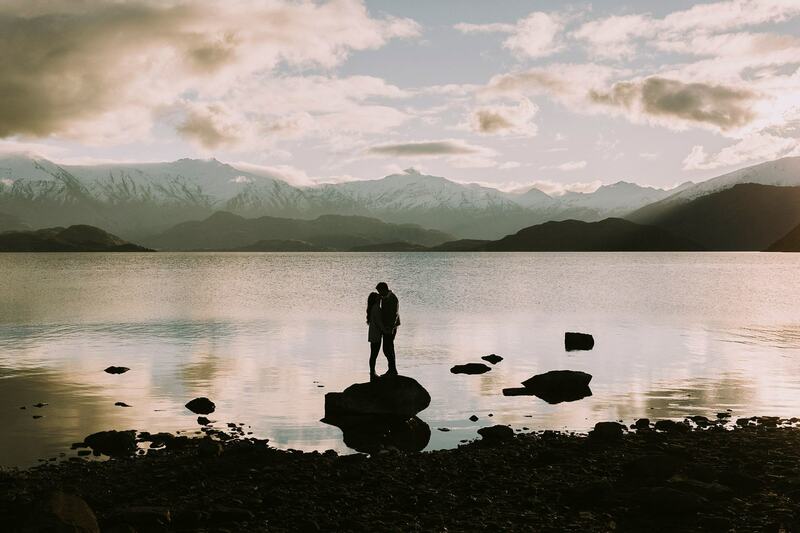 Jimmy proposed one afternoon as they walked the Lake Hayes loop. 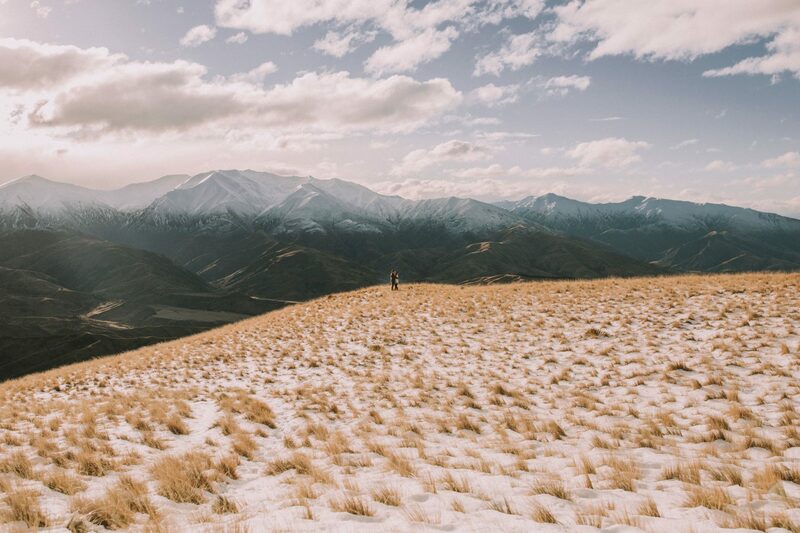 We ran up snowy hills, fell down snowy hills and I made a bunch of lame/cool jokes ~ because isn’t that what photographers do? 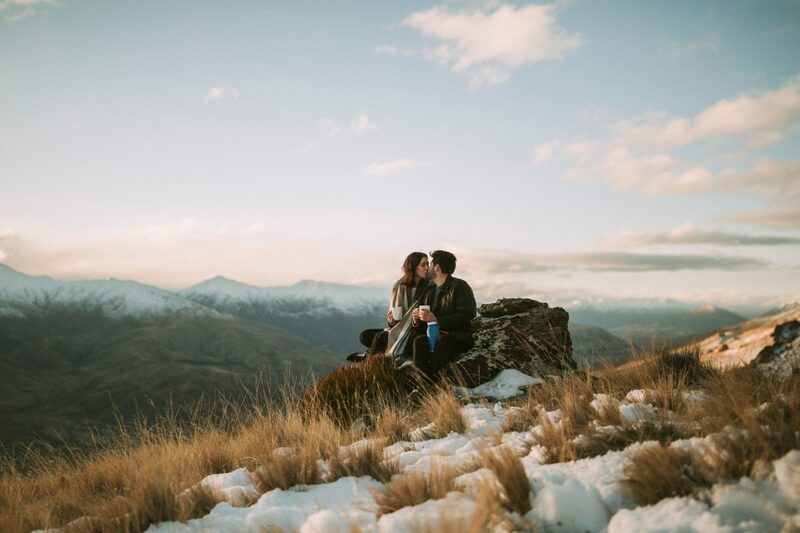 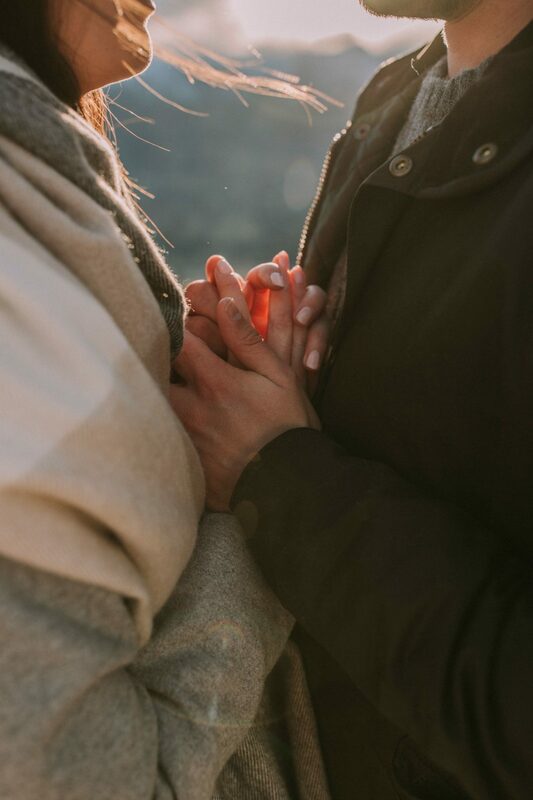 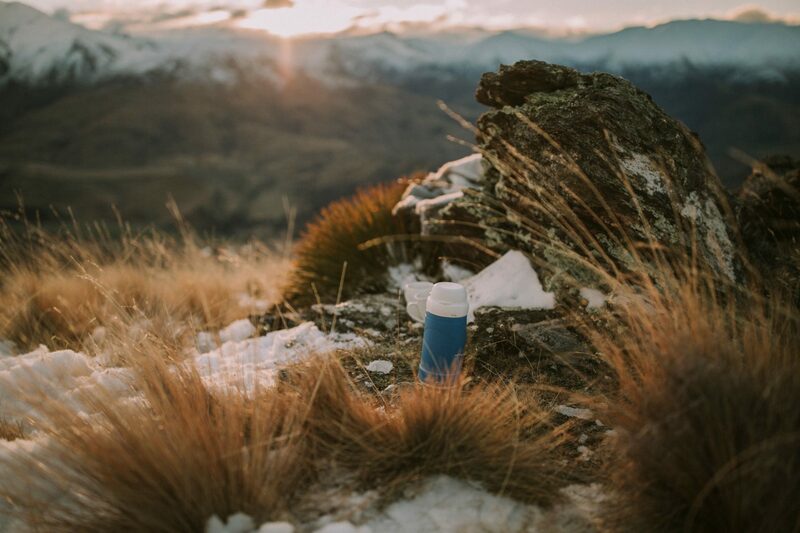 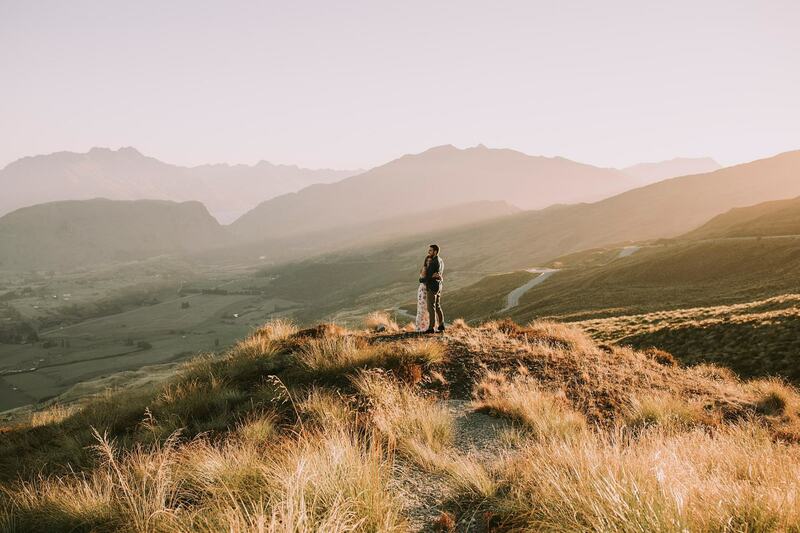 At the end of the engagement session (when we couldn’t feel our hands anymore) I had made them a surprise thermos full of hot chocolate and marshmallows, so perched on a rock overlooking a beautiful Wanaka Valley. 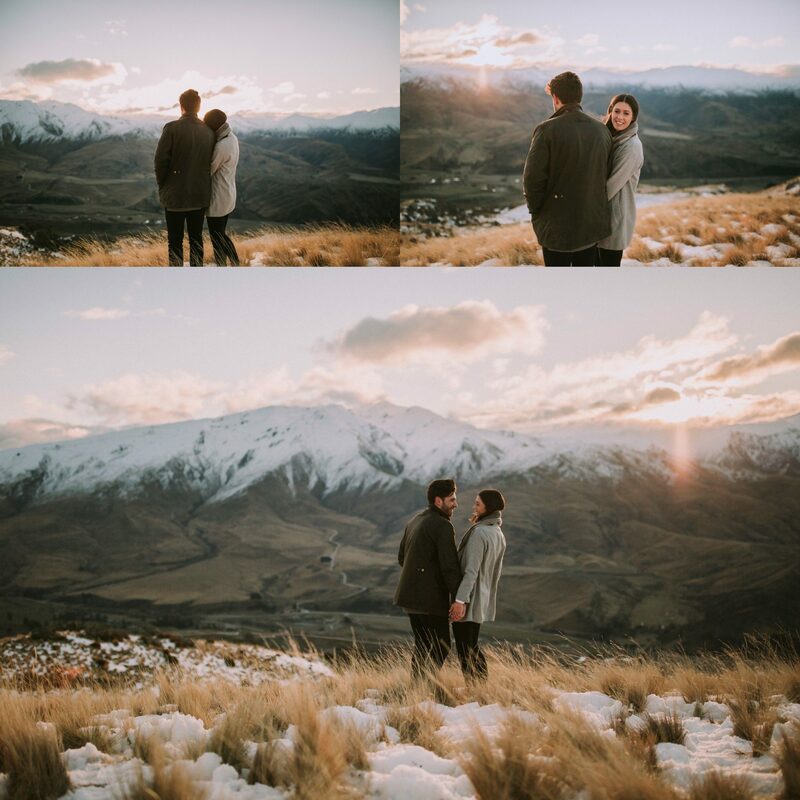 Jimmy and Olivia sat soaking in the views and we took it all in as the final light settle in the valley.